RAINBOW-STRIPED Roger brought crowds to Staple Hill in the summer – but few realised that the area had another link with Bristol’s spectacularly successful Gromit festival. 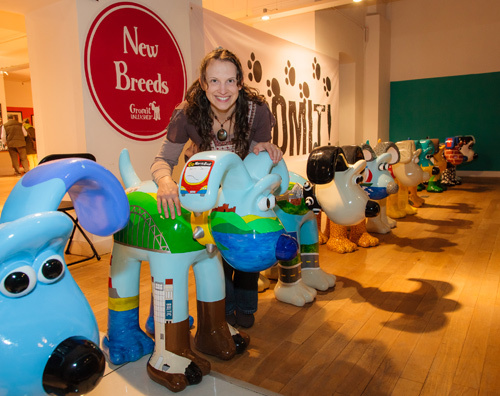 Local mum Nicola Maybury was a winner in a design-a-Gromit competition organised by Visit England and had the thrill of seeing her ideas brought to life ready for what was billed as The Greatest Dog Show on Earth. The contest was for designs embodying favourite places in England. Nicola is from a town called Washington in Tyne & Wear and retains strong links with the North East of England, where her family live. 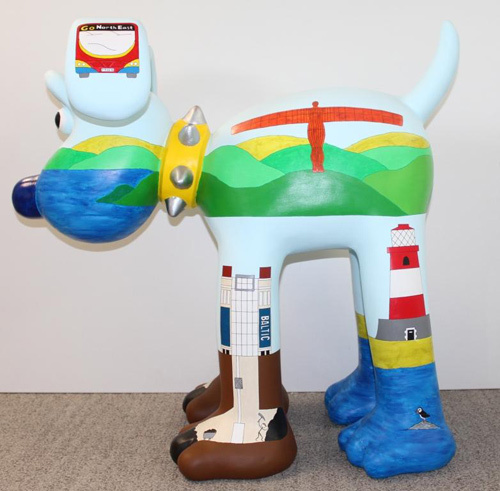 Her North East Gromit, featuring Geordie landmarks such as the Tyne Bridge and the Angel of the North, was painted on to a Gromit ‘pup’ that went on display at the Newcastle Gateshead Visitor Centre in August before being brought to Bristol to go on show alongside the other five competition winners and the 81 hounds that made up the trail. The family followed the auction night and watched as Gromit after Gromit sold for astounding amounts of money. 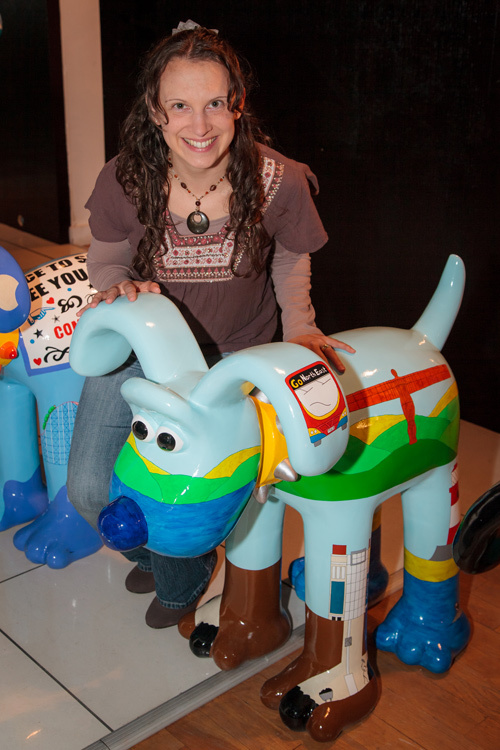 As yet, the buyer of North East Gromit has not been revealed. Following Nicola’s competition success, her son’s class teacher at Christ Church Juniors in Downend, Mrs Knott, encouraged children to come up with their own Gromit designs, which are on display at the school. 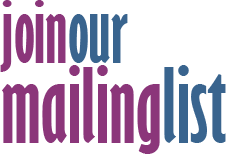 “The whole experience was such a fantastic thing to be part of,” said Nicola.